I am totally blown away by these products, truly amazing ... at 61 my skin looks amazing my face feels fresh and I absolutely love these products. For years i have had dry skin on my elbows not anymore thanks to Biologi... Please Ross make your next product be a serum to stimulate eye lash growth...that would be fantastic. 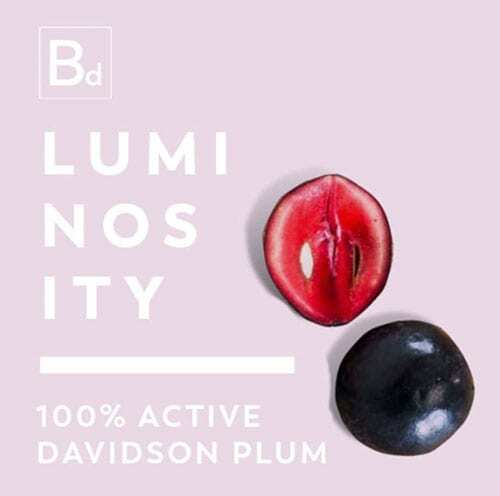 The natural nutrients in Davidson plum make Bd serum an all-round face serum that treats a range of skincare conditions while working with the body’s natural hydrating processes to nourish cells from the inside out to create an even, luminous skin tone. Why do I need tartaric acid? 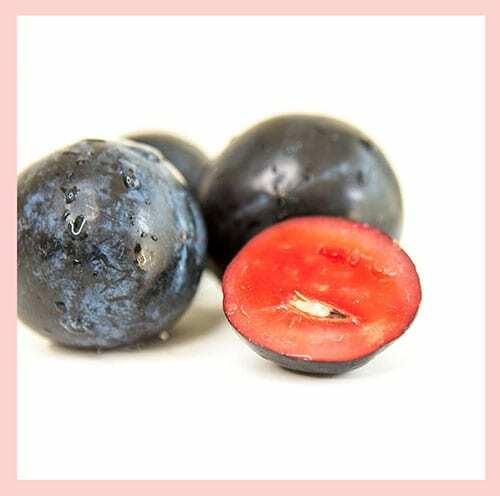 Anthocyanin is a flavonoid that reduces DNA damage, improves mitochondrial functionality, provides protection from UV radiation and promotes new cell growth for a bright, even complexion. Why do I need anthocyanin? Quercetin is a flavonoid that reduces inflammation to help reduce the redness caused by sensitive skin and skin complaints such as acne. Quercetin also provides powerful antioxidant protection against damaging free radicals. Why do I need quercetin? Before sunscreen in the morning, apply one to two pumps of Bd serum all over the face and neck area. Carry Bd serum in your travel bag and apply during long-haul flights. Keep it in your handbag for an instant splash of hydration whenever you need it. Apply every second day for the first week, increasing to daily and as required in week two. Can Bd serum cure my acne? Bd serum can reduce inflammation and redness associated with acne and can clear pores to lessen the chances and severity of breakouts. There is no topical cure for acne, the causes must be addressed internally (hormone imbalance, food intolerance for example) to cure the condition. 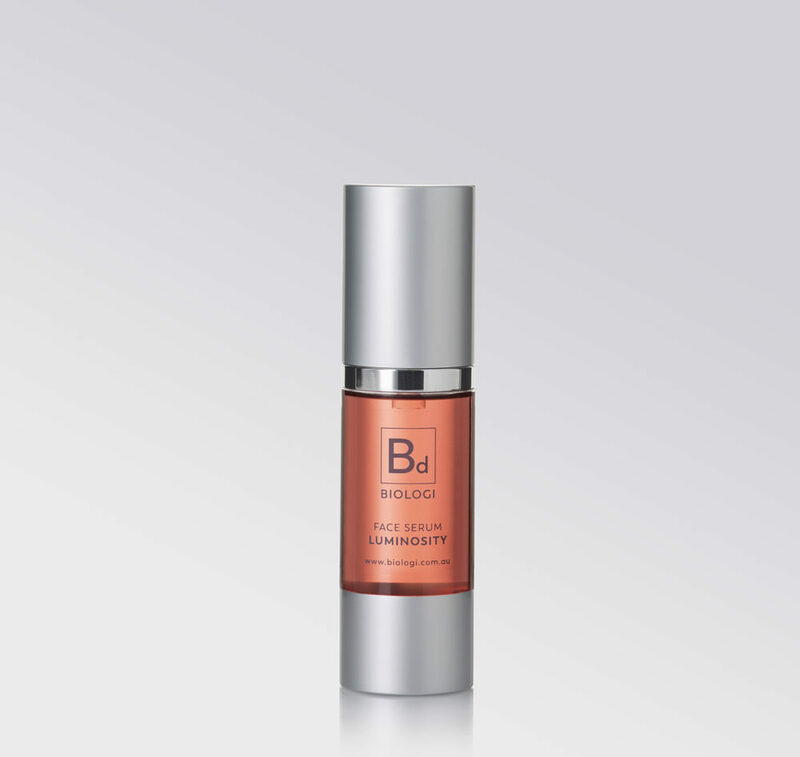 Bd serum can be applied as often as your skin needs hydrating. Once a day in the morning may be enough, or you might like to keep it in your bag to apply throughout the day (particularly when travelling). Can I use Bd serum on my scars? Yes! 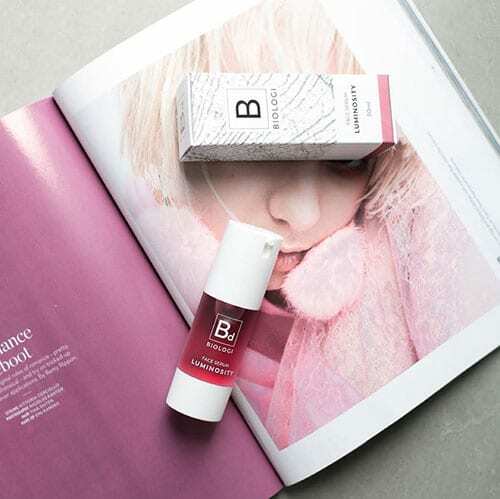 Bd serum contains the active nutrient anthocyanin which helps restore damaged skin and repair damage to connective tissue. Use Bd on your scars to reduce redness but remember that the sooner you apply after damaging skin cells, the better the chance of making a full recovery. I am totally blown away by these products, truly amazing … at 61 my skin looks amazing my face feels fresh and I absolutely love these products. Please Ross make your next product be a serum to stimulate eye lash growth…that would be fantastic. Give it a red hot go! I have now been using this he Biologi range since November last year and I won’t go back! My skin is glowing & youthful and I havd never found anything as amazing! I was a bit of a sucker for the Nourished Life reviews and claims of this product, so invested in the facial serum and body serum. Unfortunately I have seen no improvement in my skin tone, adult acne, scarring and pigmentation, wrinkles, etc. Just a lot of a hype if you ask me and I’m now $160 out of pocket. Very disappointed. Love Bd! The only product I use on my skin (+ a cleanser). Began using this product almost a year ago, after trying anything and everything for my acne (never had pimples before 23, and most just made it worse). Before finishing my first bottle of Bd my skin was noticeably improved. 10 months later, my skin is the best it’s ever been, will never use anything else. 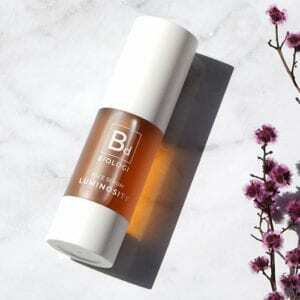 As someone who has always invested a lot of time, money and research into their skin care regime, I can’t speak highly enough of this beautiful bd serum. 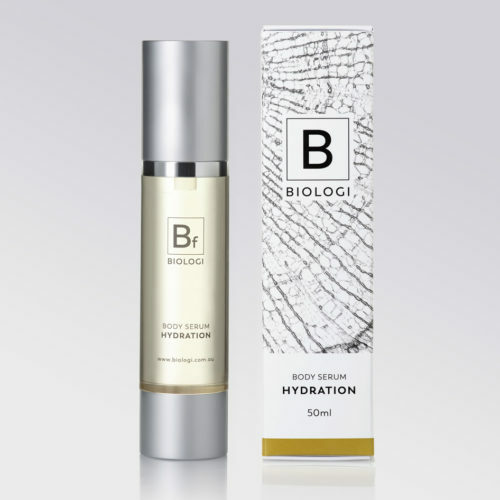 This was the first product in the biologi range I tried about six months ago and I was instantly impressed! I have always been happy with my skin, however pigmentation really started to creep in over the past twelve months. The bd serum worked wonders within a very short period of two weeks and I have very confidently referred many friends to this product. Wonderfully, it is also so special to support a totally natural, Australian product! This stuff is changing my face. Thanks for a great product. I got rather nasty hormonal acne during my pregnancy. I knew biologi would deliver great results after the Bf completely clearing my children’s eczema. I started using BF at first to calm the redness and then alternating with the BK. Once the irritation was better i used the BD more. I love to use BD during the day and alternate between the BD and BK at night. 8 weeks on and you would never have thought i had acne. All i can say is WOW. My skin type is combination, so oily T-zone and everywhere else drier. I have struggled with for years with the non-T-zone areas of my skin being extremely dry, while my T-zone area being extremely oily. I have never come across a product so hydrating, and one that just absorbs into the skin so well. And let me tell you i have tried SO SO MANY moisturisers and serums which when applied seemed to just sit on the surface of my skin and not absorb – unlike Biologi. Currently i am just alternating between the Bd and Bk serums every night for my face, and these serums will hydrate your skin for 24 hours easy. The Bd serum has also noticeably reduced the amount of breakouts i experience, and i have received multiple comments on how much my skin has cleared up. One very very happy customer over here. Would recommend it to anybody! Great results from this product. After suffering from hormonal acne for over a year now I feel I’ve tried every topical treatment under the sun. I switch to all natural products 8 months ago and was recommended this product by a friend. I finally purchased my first bD serum a month ago and have been very happy with the results. My skin tone has evened out, acne has lessened and my skin is hydrated. Look forward to the results over the next few months. I absolutely LOVE this product! My face is quite dry and I get psoriasis pretty bad through my eyebrows and nose. After only 2 applications over 4 days I felt a big difference in the softness of my skin and my psoriasis has settled down to practically non existent! I will definitely keep using this product. 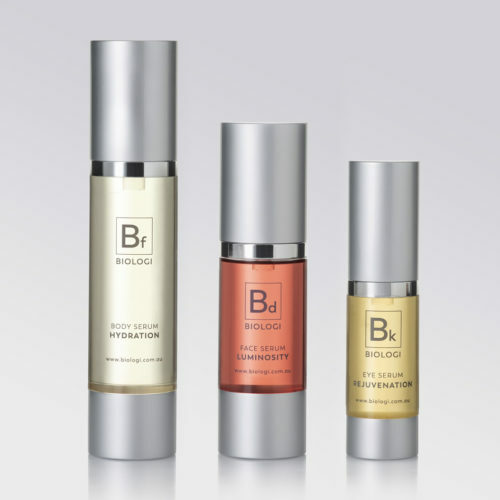 I have been using Biologi Bd serum for 4 month now and can’t imagine using anything else! Within the first five days, I saw such an incredible change in my skin. Pigmentation spots has lightened, redness in the corners of my nose disappeared, fine lines around my eyes were less noticeable and my dull skin from sleepless nights had been given a new glow. It is also a great base for the days I wear make-up, and being made from natural ingredients I know it is safe to kiss my babies straight after application. So much love for this product! I have been using the Biology skincare for the last 5 days now. No stinging, burning, irritation, tightness or itch which is always a big problem for my sensitive skin. No redness or pigmentation reduction yet so will continue to monitor this. Overall feels good so far. Feels hydrated and dewy. I love a good skin care routine & I heard so many good thinks about this product… unfortunately I didn’t see any results. It looked nice and felt nice on the skin but far to pricey for the results I received and then having the pay shipping within Australia for a tiny beauty product that’s already over $90 is a rich for this product. Before Biologi I really struggled with not touching my face and making things worse, my confidence was extremely low, and the thought of me wearing no make up out of the house was pretty much gone. My t-zone was oily, my jaws dry and I was starting to get psoriasis near my nose/brows for the first time. I was always wasting money looking for the right product. I truly think the unnecessary ingredients from other moisturisers, primers, pimple remedies just agitated my skin and all I needed was this! My skin was instantly happier and I was so excited to see what the next few weeks would bring! Bd is excellent for everyday, under mineral powder make up or tinted Mineral sunscreen for the beach. Most times now I can add a little cream stick concealer and thats all I need, when I used to not leave the house without at least mineral powder foundation on! A friend just asked me if I had Botox…. and I haven’t, best compliment ever. Biologi is the best thing that has ever happened to my skin. Everything they say is true, it’s the best, I will never use anything else. I have always struggled with my skin and it has affected my self esteem. I am 30 years old and my skin is prone to breakouts and tends to be oily. I have tried so many products (natural and artificial) but nothing seemed to really give me the results I wanted and quite a lot had harsh chemical ingredients that dried out my skin in certain areas of my face and left my complexion dull. It was a struggle at first. It took my skin about 5 weeks to adjust. During that time it felt like the serum was not being absorbed into my skin properly, it made my skin feel a little more oily than usual and I had additional breakouts – all part of the purge process, but not fun. Hang in there. I kept using this product because it was so expensive and the FAQ section promised me results! It’s actually all true – all of these glowing reviews. This product is the best product that I have ever used. I have been using this product for 8 weeks now and my complexion has improved so drastically. I haven’t had a breakout in 3 weeks and my skin texture is amazing. I was so excited to use this product after seeing such good reviews. However I was disappointed when I first started using it as it caused my skin to break out. I stuck with the product for about a week before I stopped using it. I didn’t touch it for about 2 months then decided to give it another go. My skin did break out again but I stuck with it and my skin has never been so clear. I have actually stopped wearing makeup on a day to day basis. My friend even thought I was wearing makeup my skin looked that clear. So happy with this product and will be repurchasing. I was pretty disappointed that this product didn’t live up to the 5 star rating. I honestly havent found anything special from this product, it doesnt really soak in and gets on my pillow when I go to sleep. Have not noticed a difference in my skin, and is going pretty quick for how expensive it is. I stopped taking the pill 4 years ago and since I was fighting with hormonal acne. I tried plenty of products and have been on natural skin care for over a year but couldn’t find anything that really works. The Bd serum felt great from the first application. It kept my face (which gets very oily) well moisturised but less oily when I wake up in the morning. I didn’t even get the breakouts when starting the product which may be because my face is already used to more natural products?! Anyways, my acne finally seems to clear up (taking the product now for about 3-4 weeks) and dark spots seem to be reducing. I’m very happy with the product, the pure ingredients, how it feels and looks on the skin and the results I’m getting! And the customer service from Biologi is amazing! 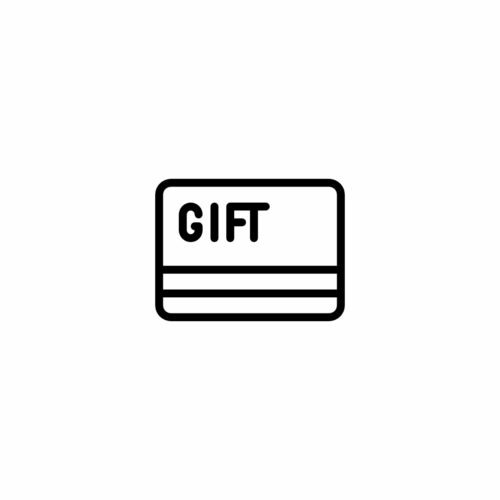 Big thank you! I just want to say a big thank you!! I have been on the natural / organic skincare bandwagon for a couple of years now, but struggling with ‘post pill’ skin had been getting me down and I was almost ready to give up on natural and try ANYTHING else. Biologi was like my last resort and I am SO glad that I tried it!!!!! Within a week my skin was certainly brighter and even my beautician when doing my brows asked if I wanted concealer put on and I said “I don’t have any makeup on” and she was shocked! For the first couple weeks I did have the purging and excess oil but after that I literally did not get ONE new pimple until week 6 and then it was hormonal and not near as bad as usual. SO glad I tried this product – will definitely be buying again! This face serum is everything. I’ve spent a lot of money on expensive face creams that never work. 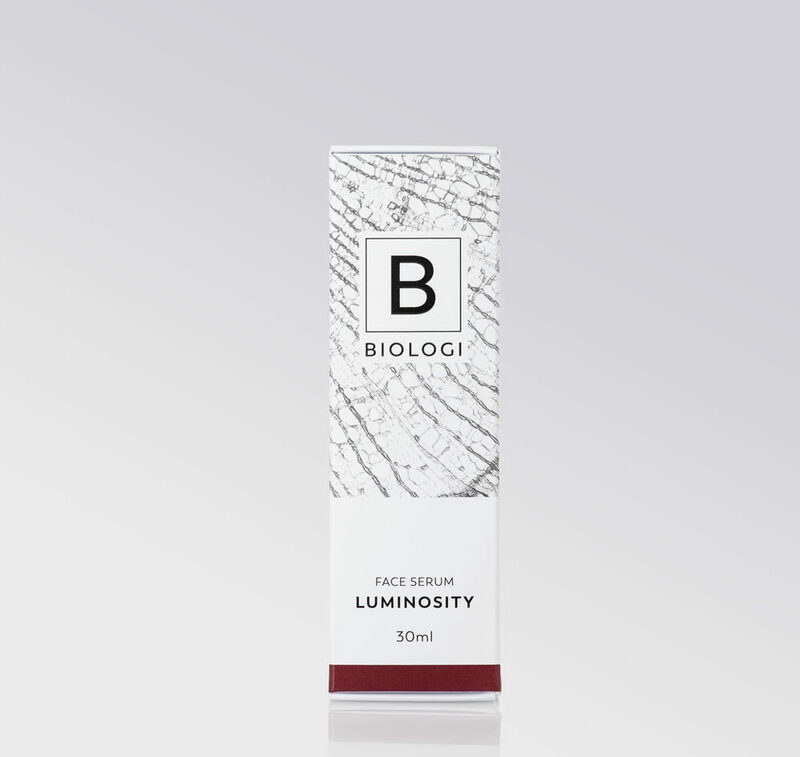 I started using Biologi three months ago and my skin has never felt or looked better. I have been using Bd and Bk for several months and I immediately noticed a difference the in the hydration, texture and pirgmentation of my skin. I would highly recommend this product to anyone with hormonal acne and scarring. A little goes a long way and it really does simplify your skincare routine dramatically. Thank you Biologi for your innovative products that reallly work. Hiii Biologi Serum team! Just would like to let you know that I SUPERRRRR LOVEEEEE your serum! It’s pure amazing. I’ve been using organic skincare for years, but never realize that they were so ineffective, till I tried this Biologi for just 10 days!!! My skin never had problem before but since I work in the commercial kitchen my skin started to show few problems (redness, blackheads, whiteheads, and sometimes small acne). BUT, after using your serum my skin is coming back to the way it usually be, and becomes better and better everyday!!! Everyone compliment how beautiful and smooth my skin is, even my husband who is usually “not really paying attention” to my skin condition LOL!! Such an amazing product! I’m in my early forties and my skin hasn’t been this smooth & moist for so long. It also cleared up a persistent patch of red/irritated skin around my mouth within two weeks. Such a wonderful product, thank you!! As an ex beauty therapist I am always looking for products that do what they say they’ll do. 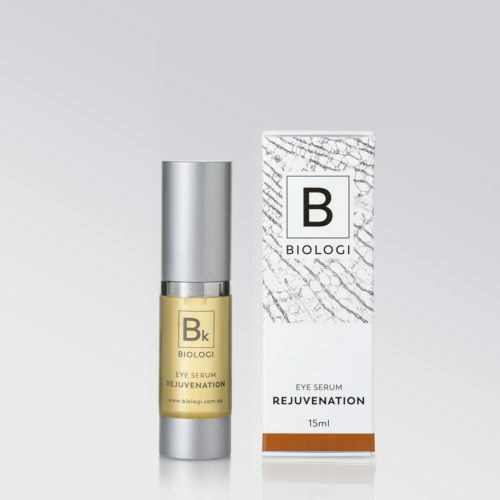 I ditched toxic skincare and makeup 3 years ago now, and Biologi is THE skincare I have been searching for. I use Bd during the day and Bf at night. I love that one product does evyrhibg you need, no need for serum and a moisturiser! My skin has never looked so good! How do I give this more than 5 stars!? I have struggled with my skin since I was a teen, trying everything under the sun but nothing seemed to work for very long. I am so so happy that I’ve found Biologi, I will never go back to using multiple diluted products that were getting me nowhere. My skin now looks and feels amazing, improving more every day and I have so much more confidence because of it. Thank you to all at Biologi, what you have created is genius! Oh my goodness! Wow! I have been struggling for years with really terrible dry skin that is prone to breakouts and have tried so many different products but none of them seem to ‘cut the mustard’. And to add to this I had started getting a bit of an eczema/rash thing on my face which was beyond embarrassing! I had been battling another breakout of this for about 3 weeks when I decided to try the Bd serum…within two days it was nearly all gone! The itching had completely subsided and the redness and inflammation almost disappeared! Not only that, the rest of my skin felt the most hydrated it has ever felt! I am still within the ‘slightly sticky feeling’ period (first week of use) so can’t wait to see the further results….I feel like I have finally found “THE” product for me! I’d give this more than 5 stars if I could. Never have I been happier with my skin. I’ve just started to notice fine lines and wrinkles and Bd has helped change the way I feel about my skin. I can go out without makeup on and feel confident. can honestly say i have not touched any other products since these came along and I’m a beauty junkie! first time in YEARS that my foundation goes on so smoothly without a hint of flakiness or dryness. I was sceptical at first if this would work as well as it claimed but it is hands down my fave beauty discovery ever. you will not regret this purchase take me word for it. worth ever dollar. I decided to try this product after hearing such amazing reviews on it. I will be honest I was very skeptical of just how hydrating it would be and I really thought I’d probably have to wear a moisturizer over top because I’m a flight attendant and am in the air for over 12 hours sometimes. Well… I was WRONG! This product is AMAZING! My skin is hydrated so beautifully I’m really quite shocked. My skin has a luminescence about it that is really pretty. My morning and evening routines have been more than halved. I use Bk on my eyes, Bd on my face, neck and décolletage and the body serum on my arms tummy and legs. I was using Vitamin C serum then hyaluronic acid serum then moisturizer… and the list goes on. NO MORE! This is it for me. In 2 weeks my skin has plumped up, is so incredibly soft, the redness has significantly gone and it’s just pretty, pretty, pretty. 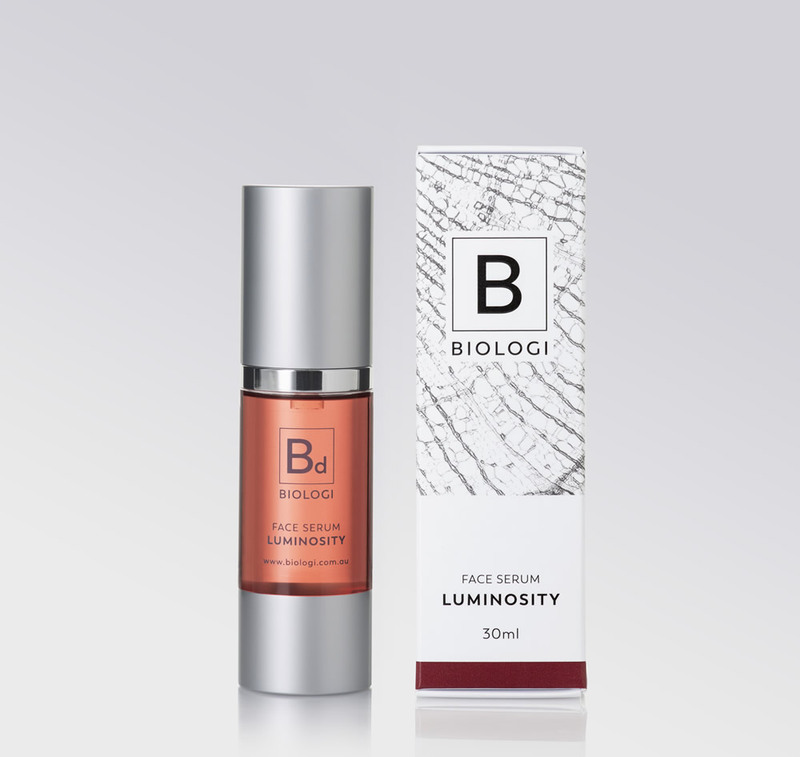 If you’ve ever looked at a celebrity on the red carpet and their skin has an amazing luminesce about it ..look no more because i get that beautiful luminescence with just Biologi serums. Yup Im pretty shocked, but these are the only skin products I will use from now on. The fact that the ingredients are so pure you could eat them is just a massive bonus. I’m just about finished my first bottle and about to purchase my second, I can honestly say this has been the best skincare product I’ve ever used. I usually suffer from dark circles and dull skin with frequent breakouts and since using this product of a morning and night my skin has never felt so fresh and glowing, No more dark circles or breakouts and so soft and hydrating, Highly recommend! I use this daily and would never go back to using diluted, non-active products daily moisturisers (except for my SPF fix). It provides the best base for my makeup – my foundation just glides on. Silicone-filled primers are thing of the past for me. My skin is clear and glowing. Thank you, Biologi! This is the first product I have used since getting serious about my skincare routine about a year ago and WOW! This product does exactly what it claims to do. It’s easily & quickly absorbed into the skin, leaves no residue yet hydrates at a deep level. The appearance of my melasma, sun spots and redness under my nose have reduced dramatically! I just love the way I look in the morning after using the Bd face serum the night before! BEST serum ever! The Bd serum has completely hydrated my skin and cleared up my acne. Before using this serum I constantly had painful cystic acne on my jawline and up on my cheeks. I had tried antibiotics, vitamin a gel, another topical treatment – all prescribed by my doctor – but none of it worked. I have been blown away by the massive improvement this little gem, the Bd serum has made to my skin. I don’t even need to wear makeup anymore. I do however, wear my SPF over the top once the serum has soaked in. I absolutely love this serum. I use to have a extreme skincare routine, and now i don’t. My skin feels soft and hydrated. Will never go back. I absolutely love this product. I have gone from a very complicated skincare routine to a very simple one. My skin feels soft, hydrated and is clear. Will never go back. This is the best skincare product I have ever used. It cleared up very stubborn and painful eczema on my eyelids after only two uses. Nothing the doctor gave me cleared it up. My eczema hasn’t come back since I started using Bd serum about 4 months ago! It has also helped clear up my acne which I’ve been suffering with for many years. This is the only product I use besides witch hazel, cleanser, and a homemade exfoliating scrub. I even bought Bd for my husband! I’m a beauty therapist by trade and I have tried everything you can think of on the skincare market and this is honestly the first product that has lived up to its claims. My skin is holding onto hydration, it’s glowy, the texture is improving and my fine lines have softened. I’ll hobestly never use anything else again. Love it. Absolutely love Bd, this has evened out my skin tone and reduced acne. I was someone who would not leave the house without makeup, now feel confident enough to go out with a fresh natural face. Love how my skin looks and feels using Bd!!!!! Just love Bd ! I’ve been using it for a couple of months and my rosacea prone skin and redness has totally calmed down . It’s just great to know it’s completely natural with no additives . Leaves your skin feeling gloriously smooth and illuminated . Love it ! I will not use anything else now! My skin used to be quite reactive and impaired until I started using the Bd face serum. It is everything and more! It has improved the condition of my skin so much! I have found my holy grail skincare product 🙂 thank you! All my life I’ve used moisturizing creams full of promises. Expecting the more you paid the better it must be. Don’t know if I really believed that but was concerned about ” shutting the gate after the horse had bolted” so invested! Then a friend gave me a bottle of Bd serum as a gift. Within 6 weeks age spots had faded and dry patches disappeared. The serum was so light I could wear my usual liquid foundation without feeling or seeing excessive shine. There are no gimmicks and promises, no ingredient lists, no high price tags. Gets 5 stars from me. I hope a range of tinted foundation is in the pipeline. Due to the industry I work in I have worked with many “active” based skin care ranges, I always thought I was doing my skin good but never really noticed physical changes. Once I used the BD serum consistently for 2 weeks I noticed my congestion on my forehead had reduced dramatically. I absolutely love love love this serum!!! This is my fave! Skin care routines dont need to be complicated to have great skin, this replaces so many products for me and makes it so easy, I highly reccomend this to anyone wanting something to help improve the overall texture of their skin, Thats simple to use and cost effective. Thank you Biologi im hooked! Love love love Bd. Goodbye moisturiser, goodbye primer, hello bright fresh radiant 59yr old skin looking 20 yrs younger! This is the first face product that I’ve genuinely seen a marked difference with. My skin is more bouncy, clearer and far more even in tone. I’ve literally had multiple people tell me I’m ‘glowing’ since I started using Bd, which was about four months ago. I also used to get milia, those little hard white lumps, around my eyes, and since using Biologi I haven’t had one since. This is honestly a one stop shop, I’m never using anything else again! This product has changed my skin. I now use it religiously morning and evening. I am getting so many comments on how good my skin looks. Living in the tropics as well with high humidity can also be tricky to find the right skincare. I use my Sukim Cleanser followed by my Biologi face serum. I cannot recommend this product highly enough !! !